How does some one learn to ski jump you ask? You've come to the right place! At Tri-Norse winter park we have what is called "Tri-It" days where kids can learn to jump. We have equipment on site for multiple sizes. Prospective jumpers start on the landing hill to get used to being in skis. Then we progress to our pee-we hill which has a whopping 10" drop. At this point the skier has just joined an exclusive group and is now a ski jumper! Our Tri-It days are usually in early October and again in late December/early January. It is very common that after participating in our Tri-It days that skiers can and do compete in one of our tournaments just a week or two after! Stay tuned for announcements. We hope to see YOU at our next Tri-It day! 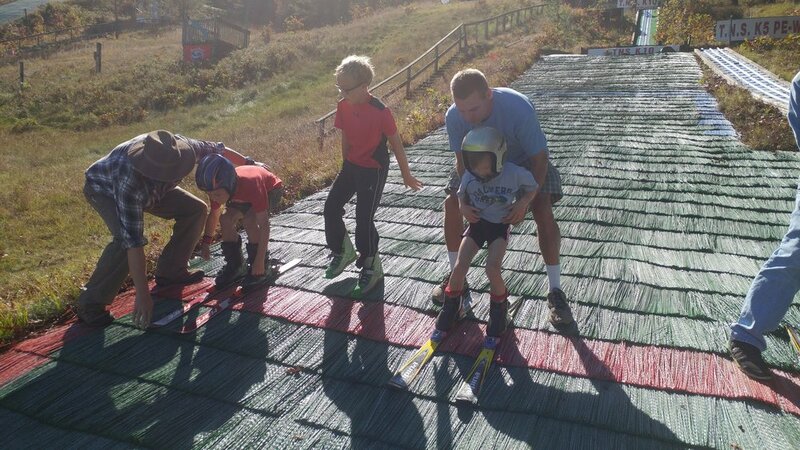 Tri-Norse Ski Club is a 501(c)(3) nonprofit organization.